Some of us can’t even imagine getting the opportunity to spend time in some of the amazing luxury airline lounges that are offered in the world’s larger airports. Almost none of us can imagine offering that luxury to our pets. And yet, that’s exactly the perk that some pooches are going to be enjoying now that Lufthansa’s new first class pet lounge is in operation. The lounge provides top-notch service to animals that are traveling through the airport. 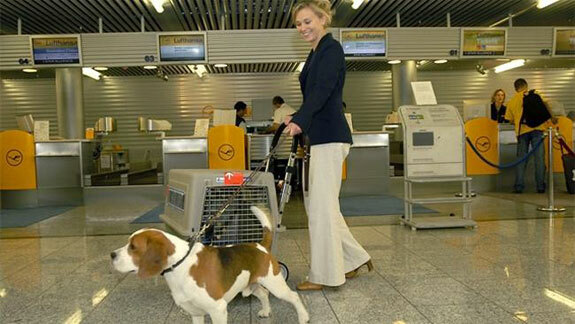 Lufthansa has been transporting animals for over three decades. 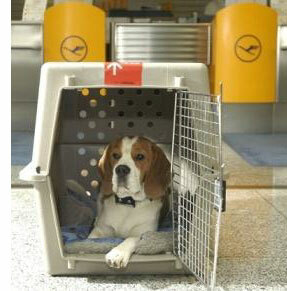 They allow pets to travel on passenger planes as well as through their Lufthansa Cargo flight system. 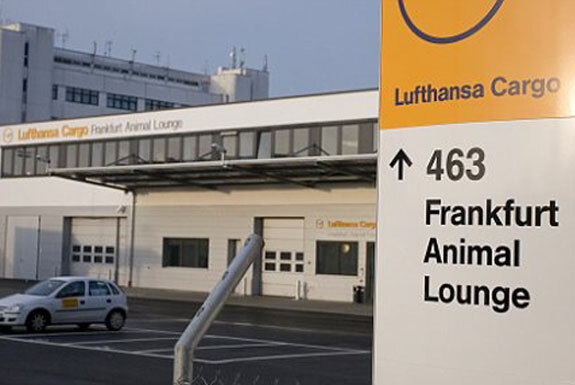 The Lufthansa Animal Lounge, located at Frankfurt Airport, is the next step that Germany’s flagship carrier is taking to improve their animal services. The lounge offers more than 40,000 square feet (3,800 sq. meters) of space for various animals. The majority of the pets that spend time in this first class lounge are small household pets like cats and dogs. However, the lounge is equipped to meet the needs of many different types of animals. Horses, exotic fish and even a polar bear have lounged here. There are 39 small animal boxes, 42 large animal stalls, and special aviaries for birds. Stalls can be adapted to fit other animals or pairs of animals as needed. •	Comfortable seating. Small household pets are placed in their own comfortable boxes to keep them safe from the other pets. More exotic animals have their own rooms in climate-controlled, pressurized cargo holding area. When a layover or transfer is taking too long, pets that would be uncomfortable in other airport waiting areas get to be taken to the lounge for cozy waiting. •	Clean healthy living. 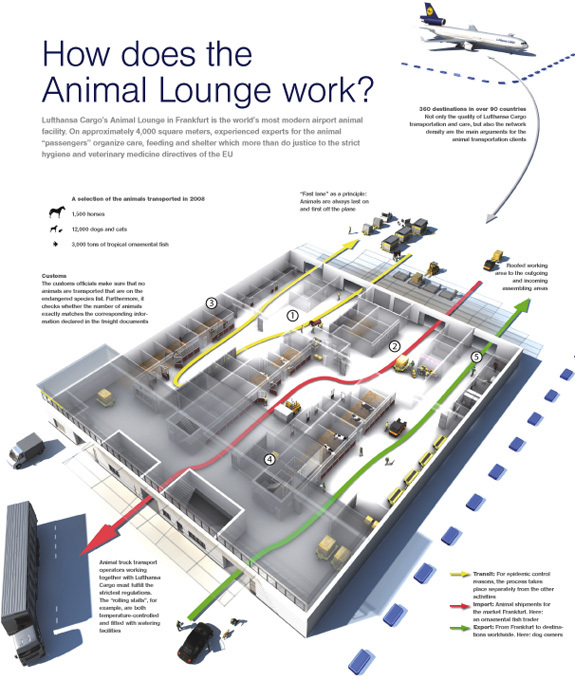 From non-slip asphalt floors to weatherproofing in the loading area so that animals don’t get scared, the Lufthansa animal lounge meets or exceeds all of the European Union directives for hygienic healthy lounging for pets. (The EU having bureaucratic directives for everything). Traveling can compromise a pets’ immune system just like it does a human’s so it’s important for travel to be as clean as possible. •	Experienced professional vets. One never knows what kind of illnesses or injuries might crop up when traveling. Dehydration is the most common problem and can be easily treated at the lounge. Vets are available at the lounge to make sure that pets are healthy for travel. These vets all worked previously in vet offices, zoos or with police dogs. They’re even trained for special situations like using a black light and oxygen for ornamental fish that are sick. •	Ease and efficiency. Everything traveling animals may need—from animal handlers to vets—is in one building (whereas other pet-friendly terminals may have them spread out across several terminals). This arrangement reduces problems with animals getting lost or spending a lot of time in transit between flights. In fact, the pets are the first ones on and off the aircraft. 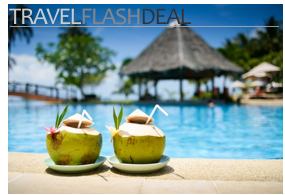 •	Relaxing, stress-free travel. Airplane travel can be as confusing and stressful for dogs and cats as it is for people. The Lufthansa animal lounge provides room for pets to stretch in a relatively un-busy atmosphere and to receive individualized attention from staff. The only problem with making use of the Lufthansa animal lounge: You may be jealous that your pet is getting better treatment than you are. First class thanks to Lindsey Andrews for guest writing this post. Lindsey is the lead blogger for Airline Tickets & Airport Parking, a travel blog for air travel and getting around airports..
Great Info Thanks ! Worried about my Pet….Leaving to germany shortly. Keep up the good work.